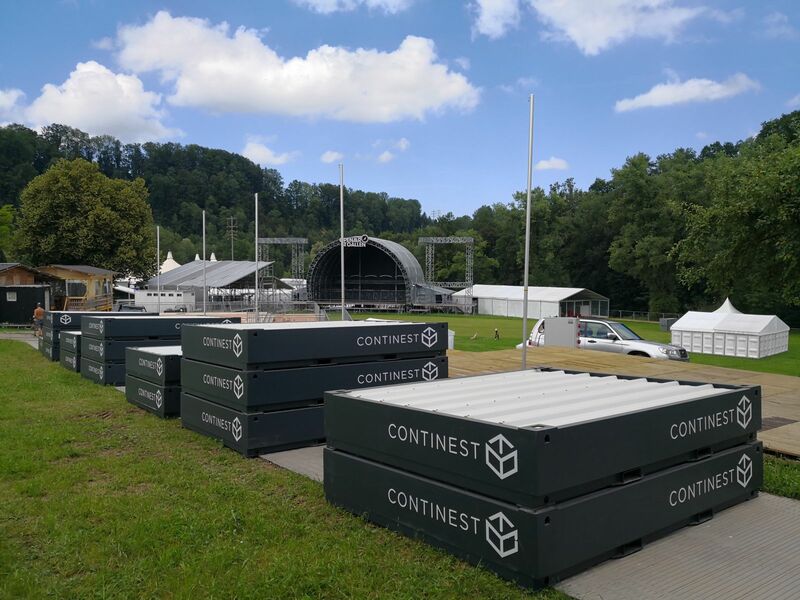 Continest boasts innovative foldable container technology and will be seen for the first time at this year’s Showman’s Show. The two main models - CN 10 and CN 20 take up 1/6 and 1/5 respectively of the space of a standard container while being stored or transported. Instead of loading 4 pcs of 10 ft. containers on a trailer, they load 24 CN 10, and instead of 2 standard 20 ft. containers 10 pcs of CN 20. This alone reduces the CO2 emissions reduced by 83.33 % and 80% espectively. Add to mix the Continest 10 Solar and you’ve also have a source of renewable energy. The Continest product was originally thought of in late 2016, in a town near Budapest. A question, some technical drawings, lots of uncertainties and a vision brought it to market. Not even two years since it started, after long days and nights spent with prototyping, tense discussions about the road to be followed, as well some lucky turns, its founders are proud to say that they are changing the game. In supplying more and more foldable containers, to music and sport events all over Europe, going as far as the Black Sea coast of Georgia, they reduce the environmental impact of the festivals, sport events and other projects they work with. Every time a production manager decides to use Continest, it also decides to decrease the environmental footprint of the event.